MellowHype keeps the string of new songs rolling in before their album Numbers drops on October 3rd. 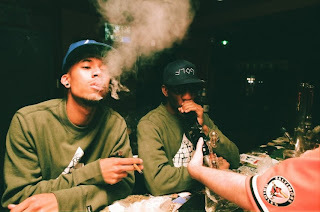 I like the duo of Hodgy Beats and Left Brains' marketing behind this as it keeps you engaged in their music and will peak fans interest in the record. The latest tune, "Wasabi" features Juicy J and while its a decent tune, so far it might be my least favorite of the new jams. Give it a listen and download below.